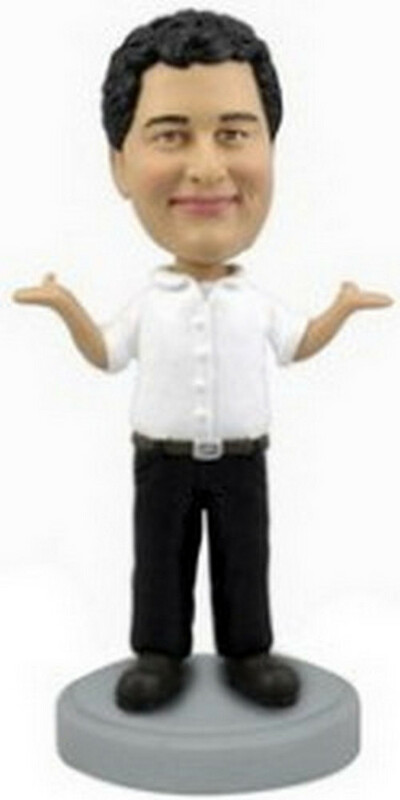 This custom bobblehead doll is a casual man with both his hands raised up. You may want to personalize it by replacing the head. He is wearing long pants. I just wanted to thank you for your excellent customer service. My bobble head was a surprise gift for my boss, & he absolutely loved it. You can put me down as a very satisfied customer. Thanks again!